Luxuryware is a reputed brand and is making its presence felt in plastics . Luxuryware products are known for thier exceptional quality standards that ensurea wonderful experience for its users . Luxuryware is having a wide range of household and kitchenware range which is microwave safe, freezer safe, dishwasher safe,food grade ,100% virgin quality. Luxuryware products are made from best quality raw material under supervision of expert and professionals .The products thus produced are sure to enamour attentionand modern living styles. 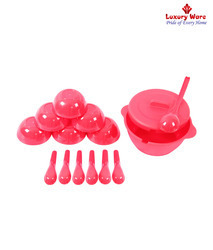 We are leading manufacturer of Red Soup Set. We providing a wide range of Red Soup Set to our client. 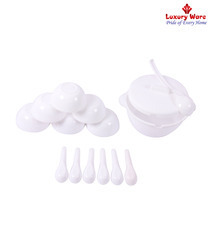 We are leading manufacturer White Soup Set. We providing a wide range of White Soup Set to our client. We are leading manufacturer of Blue Soup Set. 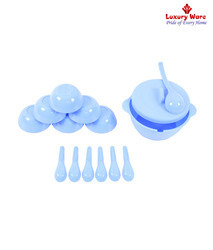 We providing a wide range of Blue Soup Set to our client. 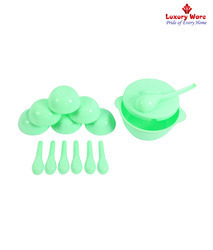 We are leading manufacturer of Green Soup Set. We providing a wide range of Green Soup Set to our client. 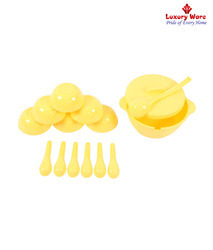 We are leading manufacturer of Yellow Soup Set. We providing a wide range of Yellow Soup Set to our client.